Python is one of the most popular programming languages on the planet. It’s widely regarded as one of the best languages to learn first if you are wanting to get into computer programming. Dive into Python is a perfect hands-on guide for experienced programmers to come to grips with the Python programming language. It’s succinct in the way it delivers its content and is an excellent reference book that’s definitely handy to have close at hand when programming. An excellent book that shows you some of the best practices you should follow when developing Python based applications. Dan Bader is an excellent Pythonista to follow if you are wishing to learn more about the Python ecosystem. 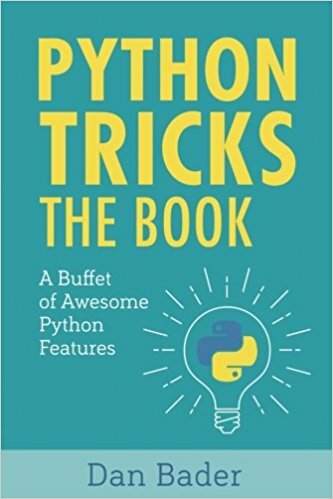 In its short lifespan it has achieved well over 100 incredibly positive reviews on Amazon and is highly recommended for all levels of Python programming. Beginners through advanced programmers will come away learning something new about the language. Learn Python the hard way focuses on teaching you Python by having you work through problems and actually writing code which I feel is the only real way to learn any new language. This is ideal for those who aren’t yet experienced in the art of programming as it guides you through things like setting up your environment, code organization and other fundamental programming paradigms. This book is, as the title suggests, is aimed at people who are entirely new to programming and want to learn their first programming language. It presents a solid introduction to the language and basic principles and much like Learn Python the Hard Way, it will have you working on real-life scenarios. Each chapter features a small game at the end that demonstrates the key elements of that chapter as well as a set of questions for you to test your knowledge. 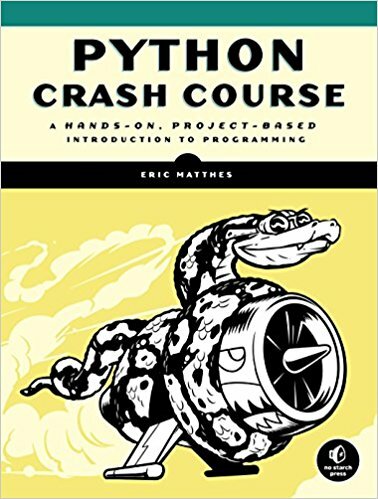 A fast paced but comprehensive introduction to programming with python, Python Crash Course is another superb book to add to your library and help you finally master Python. It’s easy to read and I’d highly recommend this to anyone new to the language. This compact book offers an excellent reference guide for those potentially in high-school or college willing to pick up the basics of Python. You’ll work through multiple exercises in each chapter and obtain a clear understanding of writing your own small python programs.